Building a box stock AR-15 is a fairly simple process. Building a high performance AR-15 can prove to be a bit trickier. 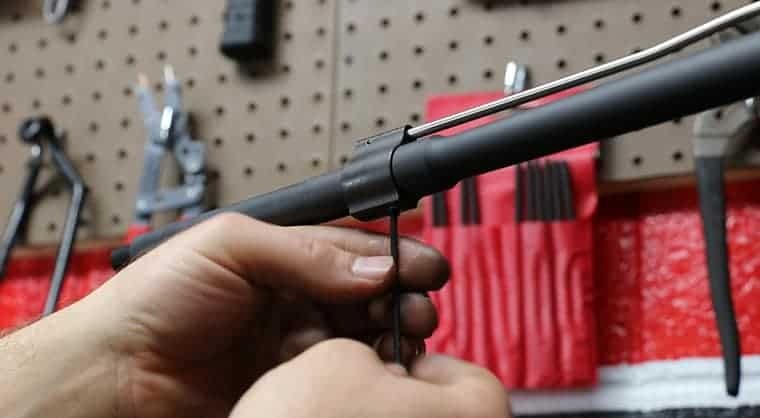 If your AR-15 isn’t producing groups that meet your expectations, there are a number of assembly methods that can aid in fine tuning the accuracy potential of your AR build. Josh and Mike detail a number of these processes in our Accurizing AR-15 video series. Feel free to click the below video links to learn more. Proper headspace ensures safe and reliable function and also plays a role in the accuracy potential of the rifle build. Josh and Mike demonstrate what headspace is, how it effects rifle function, and how to check for proper headspace. Josh describes in detail why he selected the various accessories and components for the “Accurizing the AR-15” video series. While there are plenty of parts mentioned that can be substituted with comparable alternatives, selection based on a few fundamental principles will help tighten up groups fired from your custom AR rifle build. Josh, Mike, and Nick describe how to square off the receiver face of an AR-15, as well as a few tips for accurizing your rifle build during barrel installation. Josh, Mike, and Nick complete the final assembly of their accurized AR-15 upper receiver. Details are provided regarding accurized installation of the gas block, handguard, muzzle device, and bubble level. If you have any tips, tricks, or techniques that you typically utilize to accurize your AR-15, feel free to share them in the below comments box. We would love to hear them! This entry was posted in AR-15 & 308 AR, Articles, Technical Articles, Videos. Bookmark the permalink.